4 Quick Tips for Fall Riding | Hupy and Abraham, S.C. The autumn season is upon us and that means changes for a lot more than just the leaves. With a snap to the season, some of us are moving a bit slower when we take our bikes out. 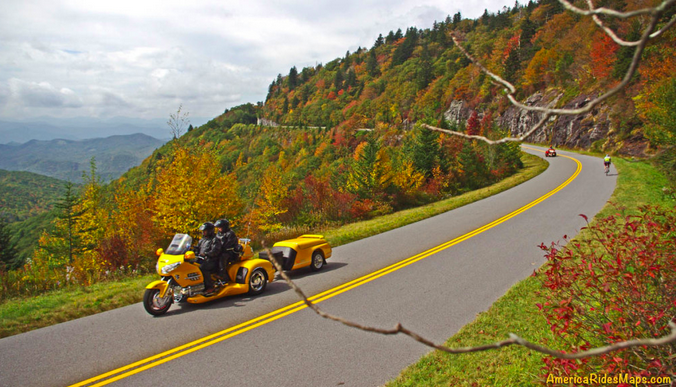 For many, fall is a favorite riding season, the vibrant colors and crisp air create a colorful new world in which to explore some of our favorite roads, or to find some new ones. You’re cold, the bike is cold! : As the temperature drops, your tires will take longer to warm up, which means decreased grip for a longer period of time (now would be a good time to check that tread depth too!). 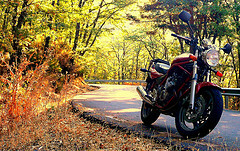 Make sure to give the bike, and yourself, ample time to warm up before hitting the twisties. Slick lea ves and hidden ice: On a sunny fall day, it’s easy to forget winter is just around the corner. However, frost and ice can form overnight and linger into the day, especially on bridges and in shadows. Additionally, wet or thick leaves can be just as slippery as ice or gravel, and are a hazard that many forget about during the fall and summer months. Deer crossing: Deer are a year-round road hazard. However, during fall, they can be more active as they search for food and avoid hunters. Be extra cautious around dawn and dusk. Be prepared: In fall, warm weather can vanish in an instant. 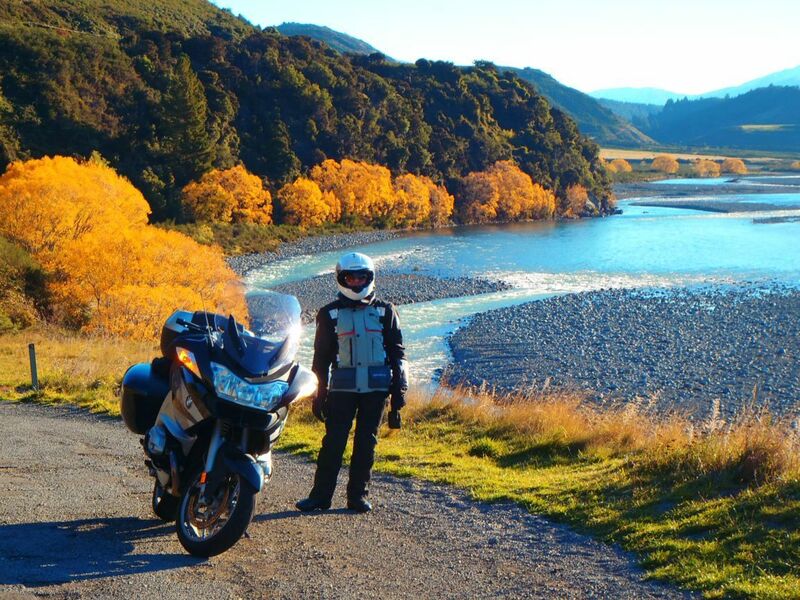 If you’re planning a long trip (or even a day trip), be sure to pack extra layers or install heating elements, because riding while cold can mean riding while compromised. 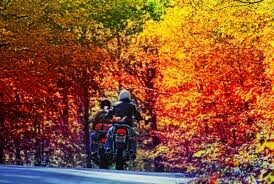 At Hupy And Abraham, S.C., we encourage safe riding in every season. Be sure to be well informed, and well prepared to enjoy every ride!